and the winters that freeze us. splashing mud on our muddles. 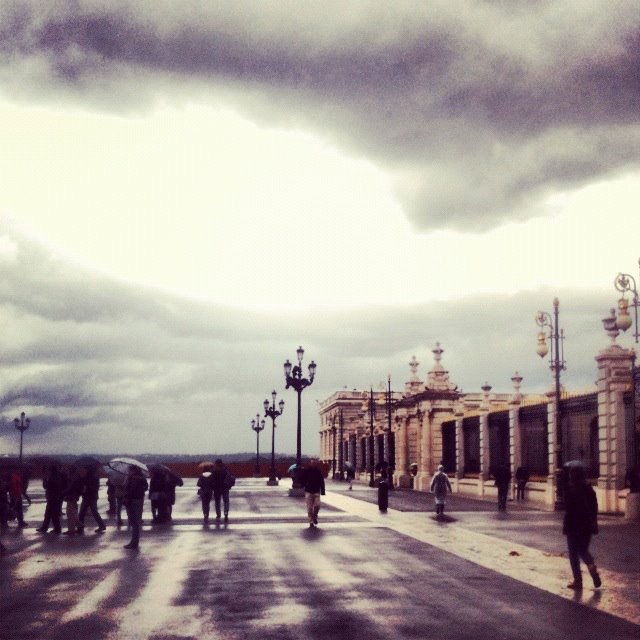 Photography taken under a stormy sky by The Palacio Real de Madrid, Spain. If we would just slow it down, live in the moment, breathe, the world would be a better place. Another beautiful image, to go along with truthfully words. Merci. Yes this is so true. Beautiful piece Damien!